Happy New Year! 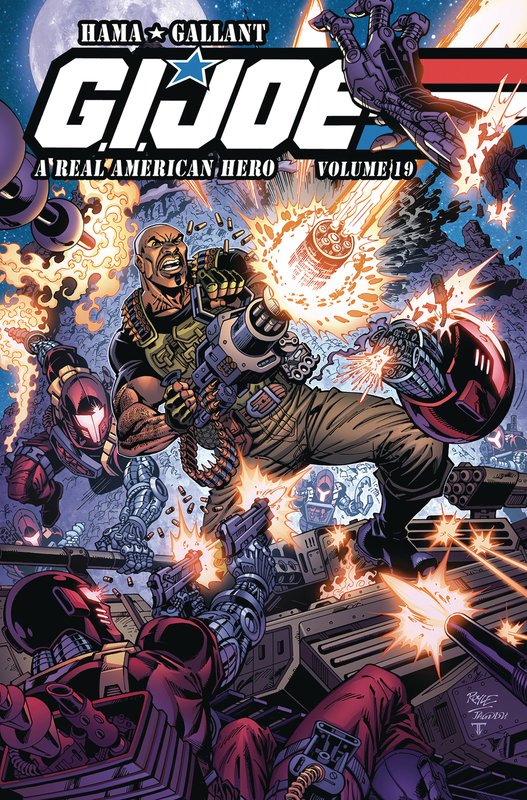 We have with us the IDW January 2018 G. I. Joe Solicitations. “Dawn of the Arashikage,” Part 3! 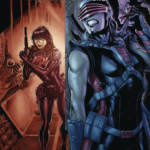 Dawn Moreno’s ultimate identity crisis continues as she battles to maintain her sanity against the dark memories of the original Snake-Eyes that haunt her every waking moment! 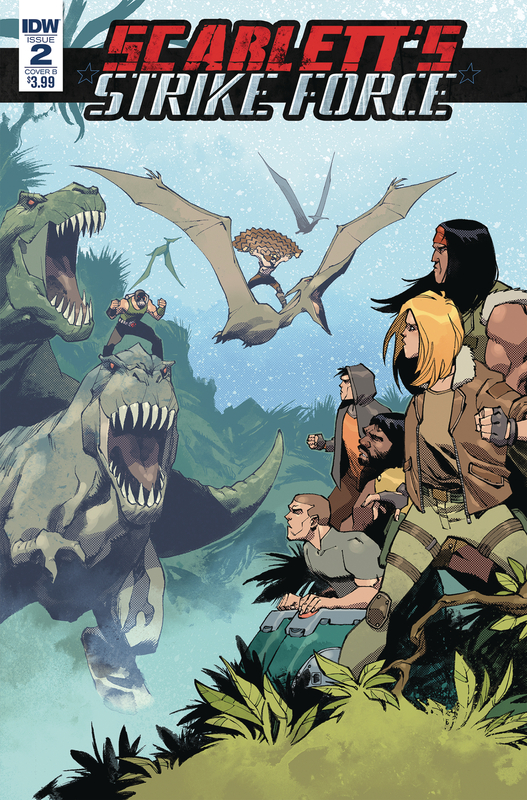 Savage jungles, dinosaur fights, magic rituals, Kung-Fu, monster trucks, giant robots, weird science, strange villains and more-and it’s only the second issue! 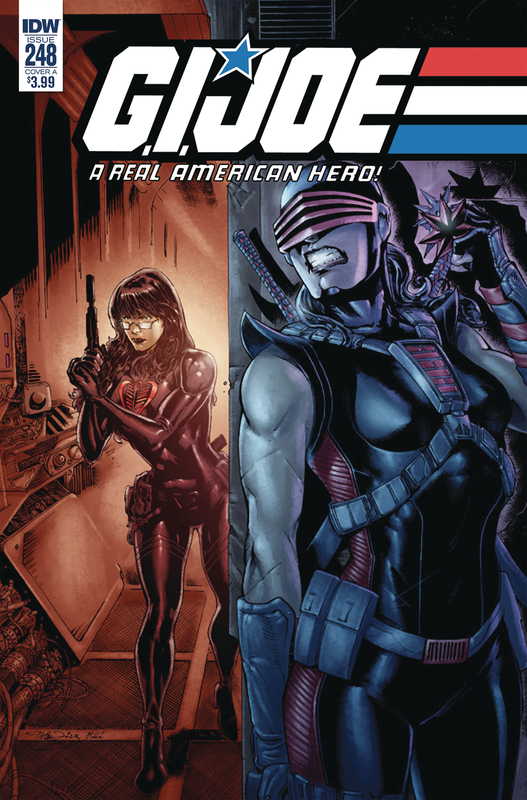 Roadblock’s team continues its hunt for the brand-new Cobra Commander as trouble brews inside of G.I. Joe’s underwater base. By Aubrey Sitterson (G.I. Joe, Street Fighter x G.I. Joe) and Nelson Daniel (Clue, Dungeons & Dragons). No wonder people are calling it The Best Action Comic Ever! Picking up where the classic comic series left off, longtime fans can continue following the adventures of their favorite characters from the legendary toy line of the 1980s. It’s a showdown in Springfield as deadly and disparate forces converge in the search for the mysterious ninja, Dawn! Meanwhile, JOEs, Cobra, and Blue Ninjas all collide in Darklonia! And, just when things seem back to normal for the Joes-well, as normal as things can get for our heroes-nefarious forces once again plot their doom! Who will step up this time to face off against the latest threat to justice, freedom, and liberty? 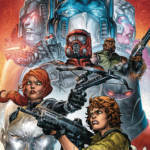 A Hasbro Comic Book Event of epic proportions! The TRANSFORMERS are under attack from COBRA, G.I. JOE’s greatest enemy! As Earth joins the intergalactic community, a massive explosion threatens the peace! A new COBRA-led by the worst villains to ever tangle with G.I. Joe, M.A.S.K. 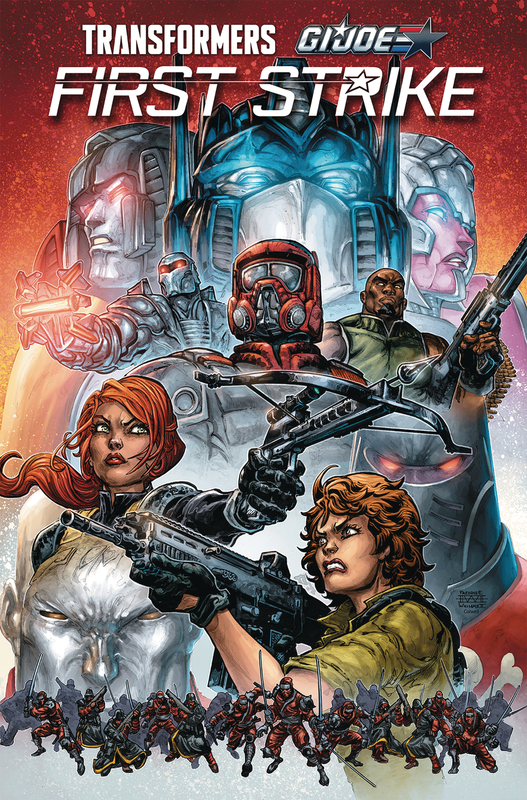 :Mobile Armored Strike Kommand, and the Transformers-is invading Cybertron, and only Scarlett, Optimus Prime, the Joes, and the Autobots can save two worlds! It’s a race to the finish as good fights evil! Will our heroes win, or will Cobra DESTROY ALL TRANSFORMERS?!? I ran into this on FB. Not sure if this is the appropriate place to put it, it might belong in it's own thread, but I wanted to share. Livio Ramondelli is a wonderful person and a tremendous artists. I own some of his original work and some of his prints, and his attention to detail is fabulous. Please look and see if this is something that stokes your interest. Variant covers and one of a kind sketches for $60 is not a bad price. In other news: Zarana is still following Zartan around after 8 years of the ARAH comic run. Yes, I'm bored and disappointed. So has Scarlett’s Strike Force been changed into a miniseries. So has Scarlett�s Strike Force been changed into a miniseries. If by that you mean "cut-short-of-planned-but-suddenly-declared-as-all-wrapped-up-on-to-new-ideas-and-new-writers," I would say yes. A mini-series. 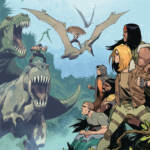 "Savage jungles, dinosaur fights, magic rituals, Kung-Fu, monster trucks, giant robots, weird science, strange villains and more-and it’s only the second issue! 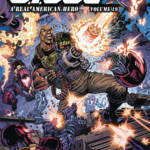 Roadblock’s team continues its hunt for the brand-new Cobra Commander as trouble brews inside of G.I. Joe’s underwater base. By Aubrey Sitterson (G.I. Joe, Street Fighter x G.I. Joe) and Nelson Daniel (Clue, Dungeons & Dragons). No wonder people are calling it The Best Action Comic Ever!"